For those of you waiting to try and find love through your social network, the Facebook dating app is now being tested internally inside the company, according to app researcher Jane Manchun Wong. Facebook has since confirmed a trial run is underway. 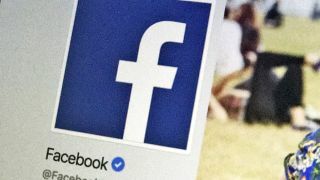 Right now, some of Facebook's staff in the US are putting the app through its paces, though it's mainly to spot bugs and problems rather than set up any office romances, Facebook says. A public launch date still hasn't been set. The option to dip into dating will stay within Facebook and not appear as a separate app, the new screenshots would seem to confirm – though as we've said, those who want to activate the dating option will get a second profile to manage. That should mean you can keep most of your embarrassing Facebook photos away from a potential match, at least until you've got to know each other a little better. If a mutual attraction is established, you and your virtual date can start messaging each other through WhatsApp or Facebook Messenger. The screens we've seen suggest Facebook is going for a more mature and serious dating experience than something like Tinder, though really it's down to the users themselves. The social network's plans for a dating app were announced back in May.